Katie in 2nd grade made the front page of Wethersfield's weekly newspaper. Kaie's friend, Sarah Privitera passed away from brain cancer in 1994. We should count our blessings, as life could always be worse. 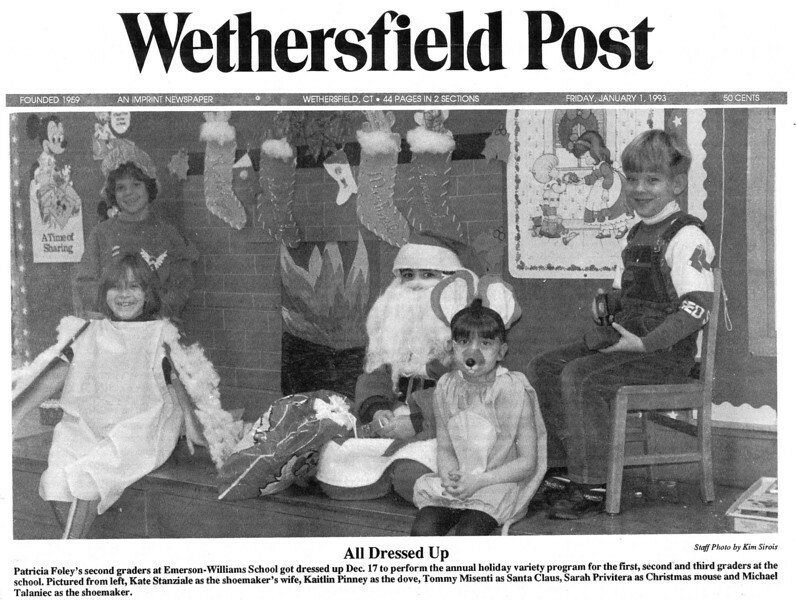 ©1993 Wethersfield Post. All rights reserved.